The following post is from a sponsored trip with New Orleans & Company. 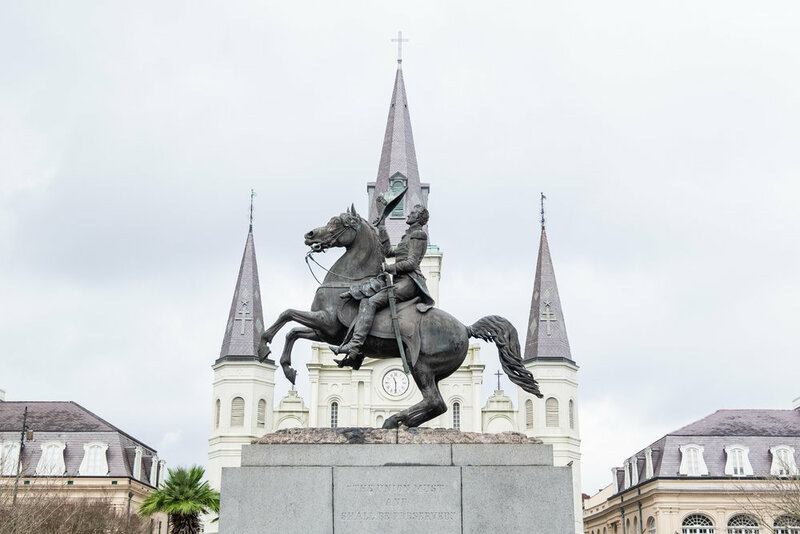 If you’re into beautiful architecture, world-renowned cuisine, vibrant nightlife, outdoor activities, and museums rich in history, then New Orleans is your city. 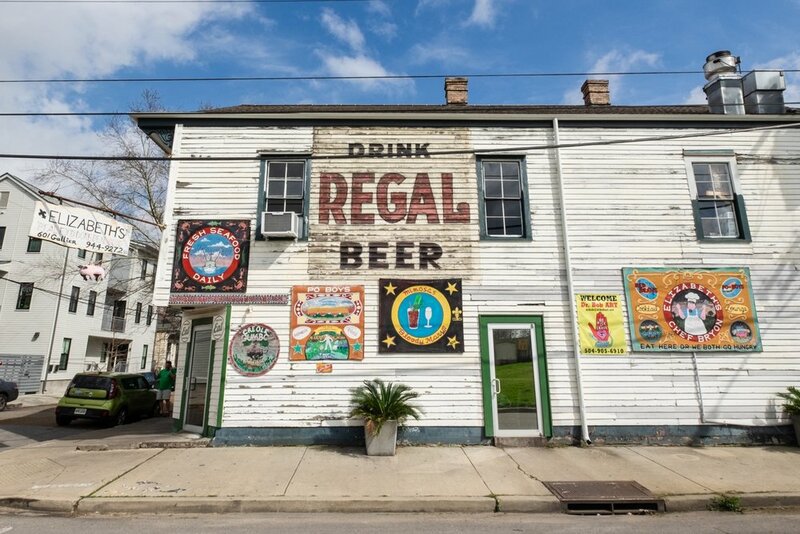 There’s something for every kind of traveler, and every New Orleans neighborhood has its own unique, charming, and surprisingly eclectic personality. All of the endless activities and sights to see can easily make a weekend getaway in New Orleans feel daunting. Where do you even start?! Well friends, we’re here to help. 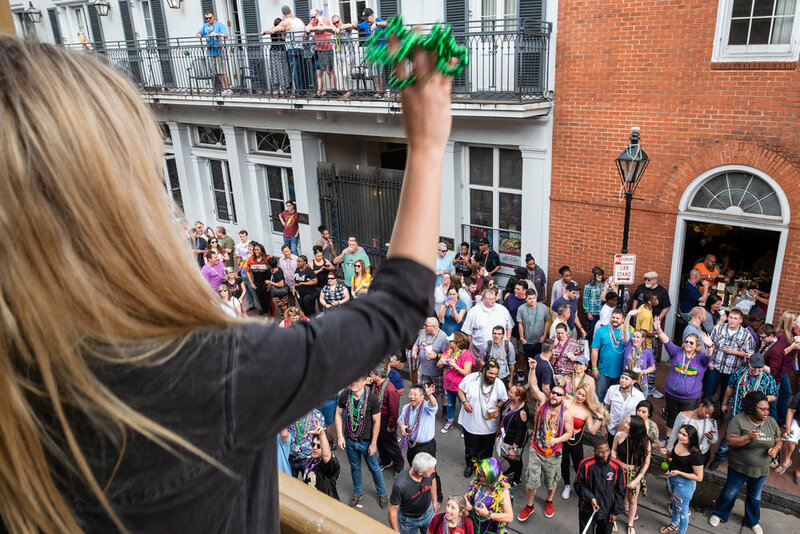 We just got back from a trip to “The Big Easy” and have come up with a 48-hour itinerary that covers some of our favorite NOLA spots - and will undoubtedly leave you anxious to return! (Keep in mind that it’s jam-packed, so feel free to go at your own pace, and omit spots if needed.) Enjoy! Start your weekend with brunch at the chic and trendy Willa Jean. Their coffee is strong, the biscuits are perfectly flakey, and you can’t go wrong with anything on the menu. We highly recommend you try the BBQ Shrimp Toast (their most popular dish) and the Grain Bowl (it’s as Instagrammable as it is tasty)! Fight the inevitable food coma with a 1.3 mile walk to the historic French Quarter. 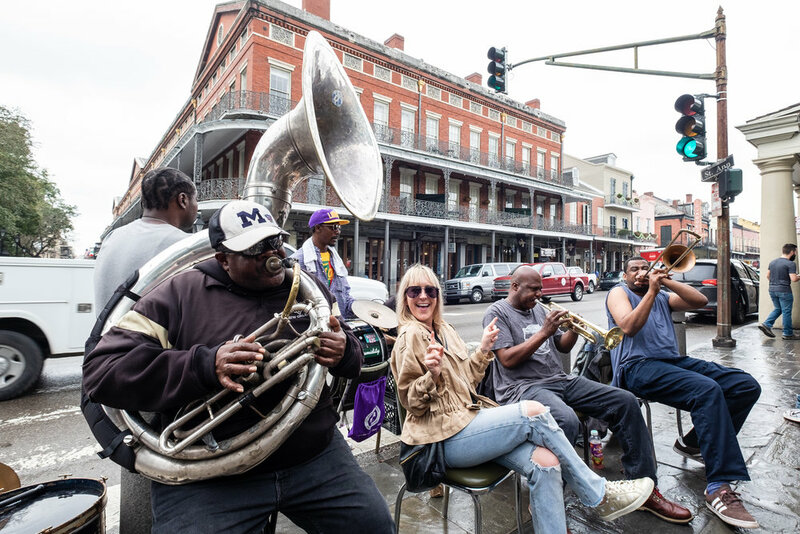 Wander around the colorful buildings and see the local artists in Jackson Square. While you’re there, spend an hour or two at The Louisiana State Museum, where you’ll find a moving exhibit on Hurricane Katrina, and a fascinating look inside the history of Mardi Gras. Just down the street is the iconic Cafe du Monde, and it doesn’t matter if you’re still full from brunch, you ALWAYS have room for beignets! Order an iced cafe au lait and a round of beignets, and you’ll see why this place has been a New Orleans staple since 1862! So much to see in Jackson Square! One of the best ways to see and learn about the city (in our opinion), is on a bike tour. The friendly folks at Free Wheelin’ Bike Tours will not only give you a fascinating history lesson of the city, but they’ll also take you to some lesser-known sights, through some quaint neighborhoods, and you’ll even stop for a drink or two at a few local spots. In 3 hours, you’ll learn more about New Orleans than you would in a day on your own… and you’ll get some exercise in, too! Located on the lively Bourbon Street, in the heart of The French Quarter, is the vibrant and classy, Desire Oyster Bar. It’s exactly the type of place you want to be on a Saturday night in New Orleans, as you’ll be able to dine on classic NOLA dishes, with a side of prime people watching! Make sure you sample their famous chargrilled oysters! After dinner, enjoy an intimate performance at The Jazz Playhouse, where they have nightly shows by some of the best jazz bands and musicians in New Orleans. Sip on a French 75, cozy up in a booth, and get ready for a jazz performance you’ll never forget! Stay at the historic Le Pavillon Hotel, which is only blocks away from the French Quarter. It’s elegant and ornate without feeling pretentious, and their attention to detail is unparalleled. If you make it back in time, be sure to enjoy their signature peanut butter and jelly sandwich bar (genius, right? ), which is free for hotel guests from 10-11pm! Amazing jazz at the Jazz Playhouse! Venture into the Bywater District, for a hearty and tasty breakfast at Elizabeth’s. This quintessential New Orleans breakfast/brunch spot is best known for their praline bacon, but you truly can’t go wrong with anything on the menu. And don’t forget to grab a photo by their quirky, art-covered walls! 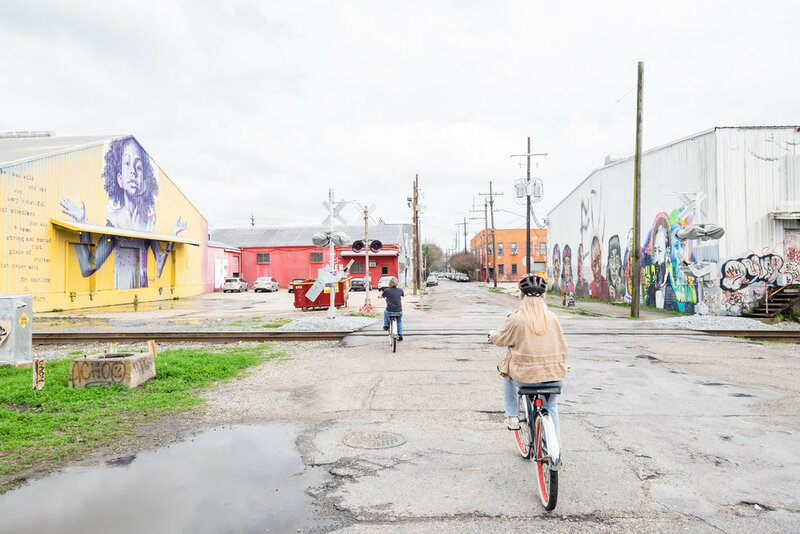 While you’re in the area, be sure to wander around the Bywater, which is one of New Orleans most creative and ever-changing landscapes. You’ll find colorful neighborhoods, street murals, funky cafes, and even curbside boozy daiquiris (Gene’s Curbside Daiquiris - it’s a must)! 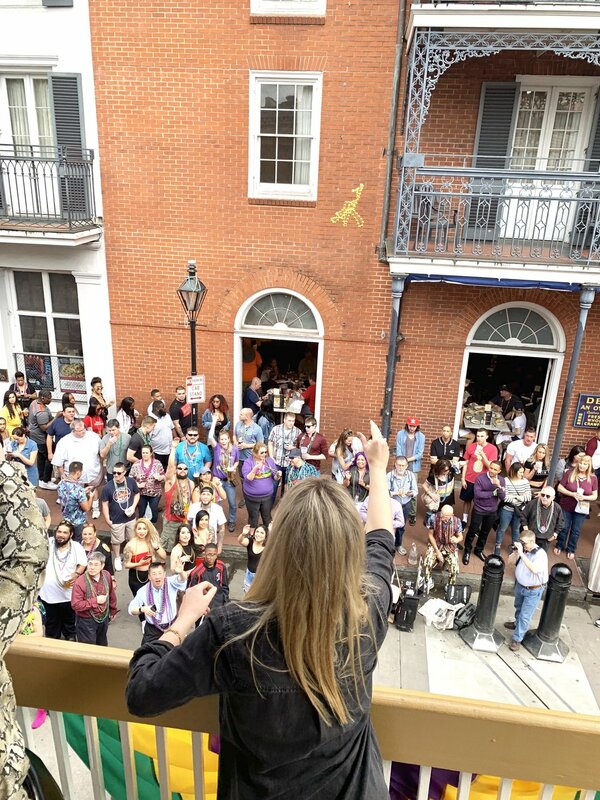 Make your way back to the French Quarter, (it’s about a 2-mile walk, which we enjoyed, but you could also catch an Uber), and take a stroll through the French Market. Vendors sell everything from “Gator on a Stick”, to Mardi Gras masks, to Louisiana hot sauces! 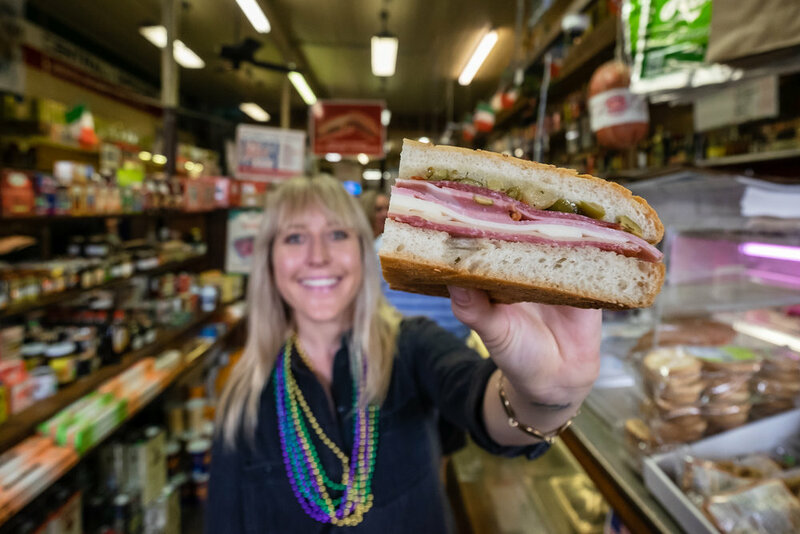 Right down the street from the French Market is Central Grocery & Deli, home of the original Muffuletta! Consisting of sliced meats, homemade bread, and their family’s Italian Olive Salad, all it takes is one bite of the famous sandwich to understand the hype. It’s been featured on USA Today, The Huffington Post, and The Today Show, among many other media outlets! We suggest sharing a half size (they’re huge), and taking it to enjoy along the Mississippi River! By this time in the afternoon, a nap might be in order. But if you’re still raring to go, head to the New Orleans Pharmacy Museum! 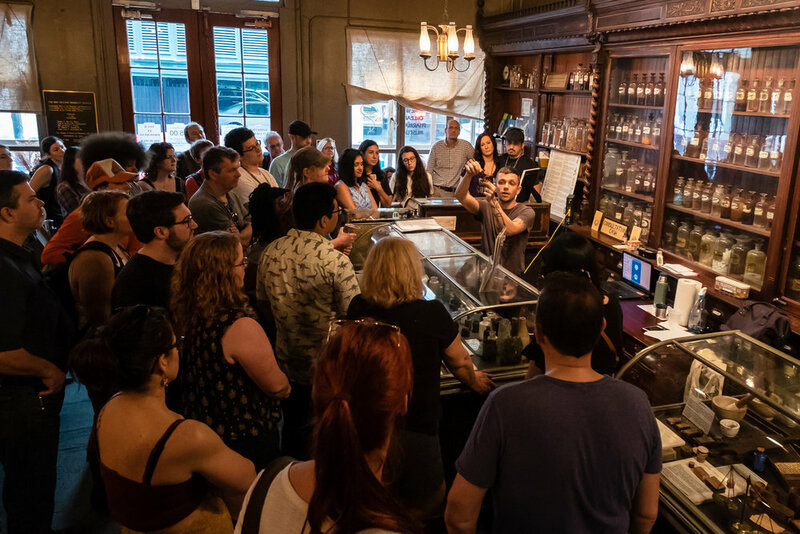 This 1823 apothecary turned museum has exhibits of early medicines, superstitious cures, and more… and it’s fascinating. You’ll be blown away by how far modern medicine has come! Experience a different side of the French Quarter, with a romantic and sophisticated dinner at Sylvain. This dark and trendy gastropub serves Southern bistro classics that are elevated and sophisticated, and their wine and cocktail menu is extremely impressive. Make sure you try their Skillet Cornbread and Shaved Brussel Sprouts! We can’t think of a better way to end a weekend in NOLA than by “taking a spin” at the iconic Carousel Bar! Located at The Hotel Monteleone, this revolving bar has been a long-time New Orleans favorite, and their cocktails are expertly crafted. Speaking of which, The Vieux Carre cocktail was first concocted here! The Vieux Carre was invented here! It was delicious!